Wirsbo hePEX features an oxygen barrier that conforms to DIN 4726 for use in closed-loop hydronic piping and radiant heating and cooling applications. The tubing is rated and listed by the Hydrostatic Stress Board of PPI at 200 deg F at 80 psi, 180 deg F at 100 psi and 73.4 deg F at 160 psi. 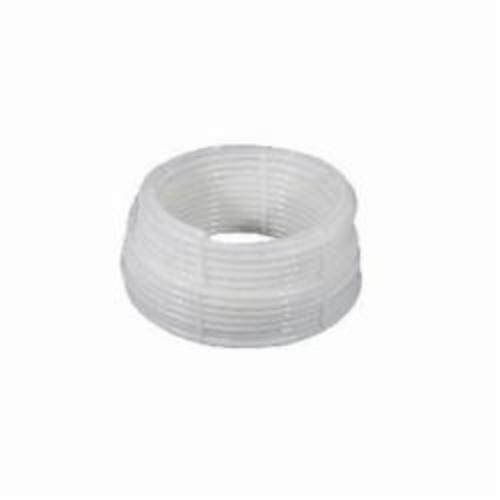 It is compatible with Uponor ProPEX and QS-style fittings and is manufactured in full compliance to ASTM F876 and F877. It is also listed to NSF 61 for potable-water applications.